On Monday Mommy Moments we are reviewing Kitchen products this week.Your kitchen is the food central.It also needs a lot of upkeep.A well organised cheerful kitchen is a joy to cook in. 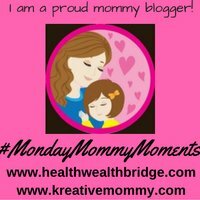 At #MondayMommyMoments we know a mom needs to cook.If not for anyone, but for the little one.That’s why we wanted to write about, what helps us most.Monday Mommy Moments is in its 13th week and we have got a wonderful response.We are planning fun surprises , quizzes, goodies and much more. Review your favourite kitchen product .It maybe your favourite appliance microwave, mixie, coffee maker .It maybe your favourite cook and serveware.It may also be your baking goodies.Have a favorite masal mix ?Share its review with us on #MondayMommyMoments this week. If you are doing A to Z we know how worried and hassled you may feel.Relax its supposed to be fun.Check out The A TO Z Challenge site. Mommy are you doing A to Z CHALLENGE ? If you plan to make it into an e-book fiction or nonfiction and self-publish please read this article Blog to Book. Its definitely double trouble for Mommies .Do it only if you enjoy a challenge.Not if it will make you lose sleep. If you are a mommy and doing AtoZ challenge we would love to help you.We know how difficult and crazy things can get, Just input your details in this form and we will keep you in the loop about all other mommies who will be doing the challenge with you. Our winner this week is Akshata Ram .Mommy , blogger , CA by profession and an enthusiastic learner at all times.Read her winning post here. Featured blogger is a chance to celebrate the mothers who blog despite their crazy schedules.Its a chance to give their creativity a much needed boost.The celebration of mommy superpowers that motherhood gives all women.Being a mommy makes us do the impossible.It makes us reach unmeasurable heights.It also lets us break those invisible glass ceilings which we know exist.Let’s create a more positive world together .The pen is mightier than the sword and the power of the internet can make your words powerful beyond measure. You can write a post on the prompt .Or link up your new post in the linky. We share and visit each blogger who link up. That’s a total of at least 4 posts we want you to give some love . Prompts will be announced every Sunday at 20.00 hrs IST.Linky open till Saturday 23.55 hours.We always visit the blogs and promote them as much as possible.Its like your own blog promo .Whats not to love? We share your entries on twitter and other social media platform generously. Who doesn’t like blog promotion? What a great initiative Amrita! I love the way how you’re giving opportunities to other mommies to showcase their work and empower others. I love the gact that you are cwlebrating moms:) . And the rukes are super easy . Not to mention the prizes are pretty sweet congrats to the winners. Love that you laid out the rules here. I think it’s important for other bloggers to support one another instead of tearing each other down. This is such a cool idea! Its’ got me wondering if there’s something similar in the lifestyle space aswell. I’m not a mommy but I’ll definitely follow along to see how its going! I love it when women get together and brainstorm and share. We can all learn so very much from one another. This sounds so cool! I love when moms come together to talk all things moma related. Such a great way to build a tribe. I will check it out. I always need to discover new kitchen products that might help make my life easier! What a wonderful way to interact with your readers! It’s amazing to read about all the super mommies out their. Keep up the good work! Great way to interact with your audience and get crowd participation. Keep it up! Thanks for hosting Monday Mommy Moments. I can’t wait to checkout the other blogs. Thanks for quoting Amrita. It is so much fun doing #MMM with you and with all the wonderful moms who share their stories with us. Congrats Dipika & Akshata Ram !!! Amrita, you are always an inspiration for me. Keep blogging !! !